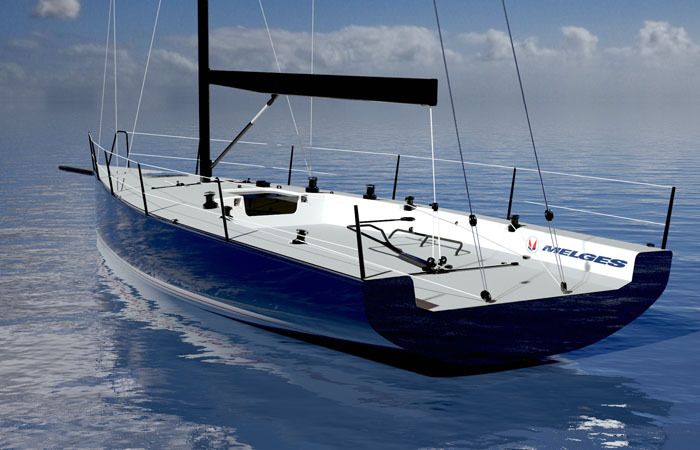 The New York Yacht Club has announced that the IC37, their latest Club One Design designed by Mills Design, will be marketed by Melges Performance Sailboats and built by Westerly Marine. Selected after a great deal of thought, these partners complete an outstanding team developing and delivering the IC37 with an eye towards a successful Class beyond the 20 boat fleet for the NYYC. “The tremendous feedback we received on this new design convinced us that this boat can be more than just the next platform for our flagship competition, the Rolex New York Yacht Club Invitational Cup,” says New York Yacht Club Commodore Philip A. Lotz. The class rules are an evolution of the principal philosophy for the Rolex New York Yacht Club Invitational Cup: top-notch Corinthian competition in matched one-design boats. With the exception of one bonafide boat captain, the crew will be all World Sailing Group 1 (amateur) sailors and the inclusion of female sailors on each crew will be required. The combination of sails constructed to a common design by industry leader North Sails and hulls built to exacting tolerances by Westerly Marine, one of the world’s most respected and capable boatbuilders, will ensure a level platform previously unseen for boats this size. The innovative class structure will establish a new paradigm for true one-design racing. More on the Clubs decision here: https://www.nyyc.org/news/2178-new-york-yacht-club-partners-with-leading-marine-brands-to-launch-ic37-keelboat.